Review: This review is for the Red Trail The longest and most technical of the Osage Hills State Park Trails It could be a really fun trail for an experienced rider, but novice-moderate riders will end up walking a few places due to large loose rocks and a few steep climbs. Review: Rocky dustyot as much as I remembered. Grass high in places but not too bad. Dry n dusty. Review: Not a beginner trail. Rocky, and moderately technical. Single Speed is best at 32x20 or 32x19. Full suspension will save your back and hands on multiple laps and will make the descents a bit more fun. 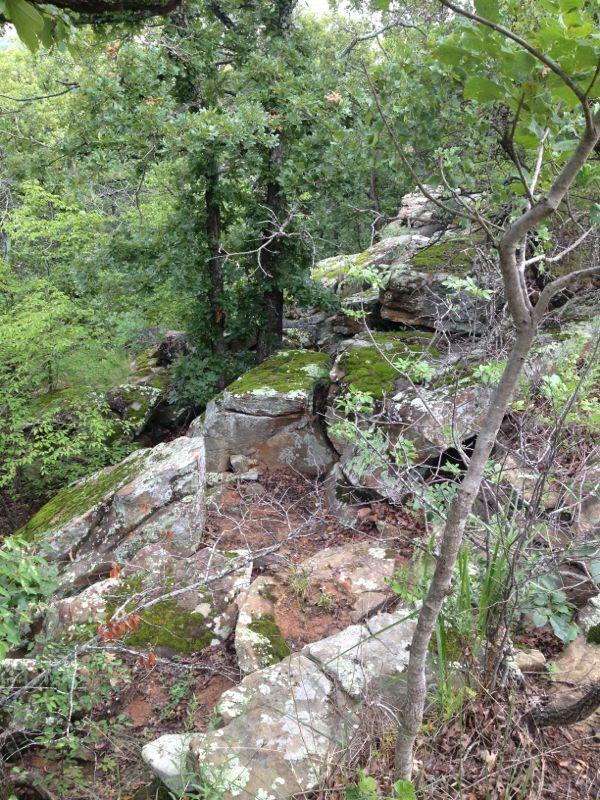 This trail is part of the tour de dirt series in Oklahoma. Worth a special trip. Exceptionally fun for those with a bit of mountain bike experience under their spandex. Park has many amenities, including showers, camping and a pool. Trail is obviously the best feature. Check strava for trail details. This trail will cook your goose in the summer, so take water. Review: The expert trail was tough with a whole lot of technical climbing, but the payoffs were the fun technical downhills. The red loop is the expert loop and the blue loop is intermediate and the most fun. 7.5 total if you do both. We did Blue, Red, Blue for a 12 mile total. Trail was very well marked. Review: More...This trail is coming along. There are individuals working on this trails. The expert trail is mostly navigable but their are spots that are unrideable. However, they are working on a detour around this,. It hooks up to an old Boy Scout trail that is wicked tuff. It is pin f**ed mostly and lots of trails split off. The views are nice. Watch outfor poison ivy!!!!! Osage Hills State Park MTB Trail 3.33 out of 5 based on 9 ratings. 9 user reviews.